September | 2014 | Peace.Sweat.Love. Hope your respective weeks started out well. 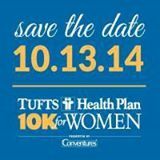 Tufts 10k for Women – I ran this race last year (see my recap in the “Races I’ve run page”! >>>) and LOVED it. It’s an amazing, giant women-centered event that takes place in the heart of Boston. Last year, the 10k took us to some of Boston’s most iconic places, from Boston Commons down Newbury Street over the bridge and back. It was amazing, full of positive lady energy, and race swag and vendors were super swanky… Always a plus! 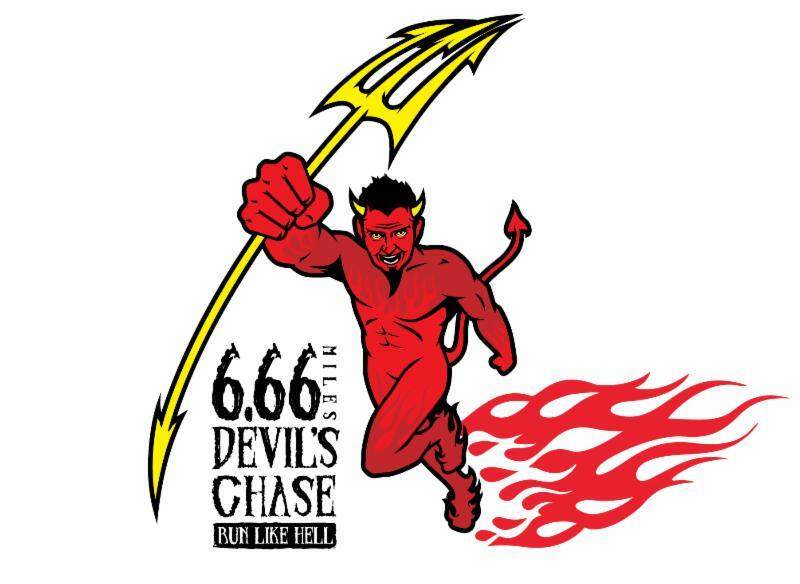 The Devil’s Chase 6.66 Miler – I love Halloween (in addition to everything autumn), and I love Salem… This race combines both of those things! I’ve never run this race before, but I know other people who have and I think it will be really fun. Participants apparently often dress up in Halloween (particularly devil) costumes, and locals chase them with pitchforks. So, yeah, it should be super awesome. The Fattman Cup Chilly Half Marathon – November brings with it cold weather, and this year it also means my first ever half marathon! I am excited but already super nervous. The event takes place in Newton, which is a suburb of Boston very close by. 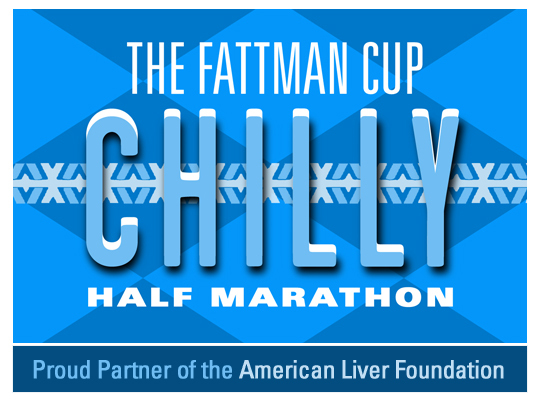 The Chilly Half is actually put on by a small, local company – Fattman Productions – who organized the Newton 10k that I participated in earlier this year (once again, see “Races I’ve Run”!). This half marathon is more budget friendly, and is definitely convenient for me – I am certainly not at a point in my life where I can spend a lot of time traveling for a race! My friend Molly is also running it (it’s her second time), so I will have a race buddy to at least save me when I look like I’m close to death. I’d love to participate in a Turkey Trot this year, but am still deciding exactly which one I’ll sign up for. It looks like I will be home in New England for Thanksgiving, so I still need to figure out holiday logistics before I make a commitment! I’m also considering a Jingle Bell run of sorts (I loved the Somerville Jingle Bell Run last year!) but don’t know if my exam schedule will truly allow for one. Will definitely keep you posted on all that! Ooof. Almost the weekend! If you’ve been following my blog, you know that it has been a crazy couple of weeks for me. I spent all summer working to save up, and I am just now finishing up my fourth week of law school. Crazy. And it has been so fast! I am getting into a rhythm, though. I created an obsessive Excel spreadsheet schedule dictating study times, workout times, etc. I also am still drafting (a bit late, but I feel like law school is a valid excuse!) a training schedule for my upcoming (drumroll please!) HALF MARATHON! Yep, I decided to take the plunge. This summer during my long runs for my Tough Mudder training, I thought: “Hey… I could add a few more miles!” I am excited but also very nervous. The race is mid-November, which does not leave me quite as much time as I would like, especially because I have had a bit of difficulty starting up. That said, I actually think that the goal of a half marathon will be very good for me in this crazy time – it is a tangible goal that engages a lot of the skills I will need for law school, too. It’s a cliché, but they all say law school is a marathon after all! After my iPhone died on my last long run (the poor thing is too old and tired to track my long runs on a GPS-enabled app anymore), I knew it was time to update. So I went ahead and bit the bullet, and got the most budget-friendly (as well as most pink) GPS watch Garmin offers: The Forerunner 10. I saw a number of other running bloggers use it, so I figure it would be a good product to start up with… Especially because I can’t shell out $250 for a GPS watch right now. 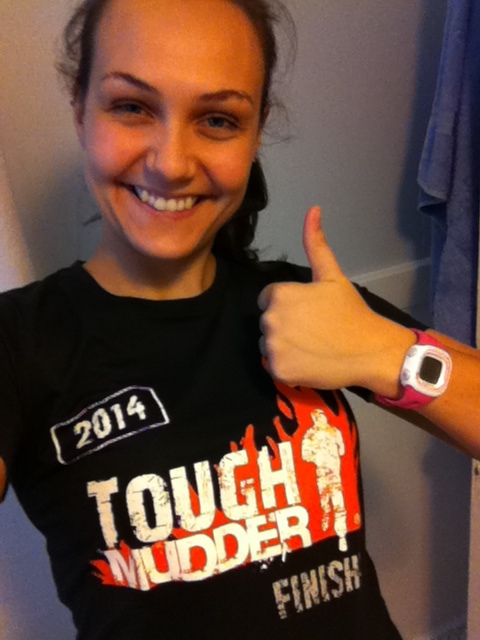 Hamming it up for a goofy selfie with my new Garmin and my beloved TM finisher tee. My cute little watch (did I mention it’s pink!?!) accompanied me on my first run in a long time today. I forgot to set up the auto-stop feature, so my time was even slower than it would normally be, but either way it was definitely a challenge today. I only did about 3.5mi, but after weeks of stress and physical and mental readjustment with virtually no running (only occasional strength training and yoga), my body simply could not go fast. It could, however, as it always manages, endure just fine. 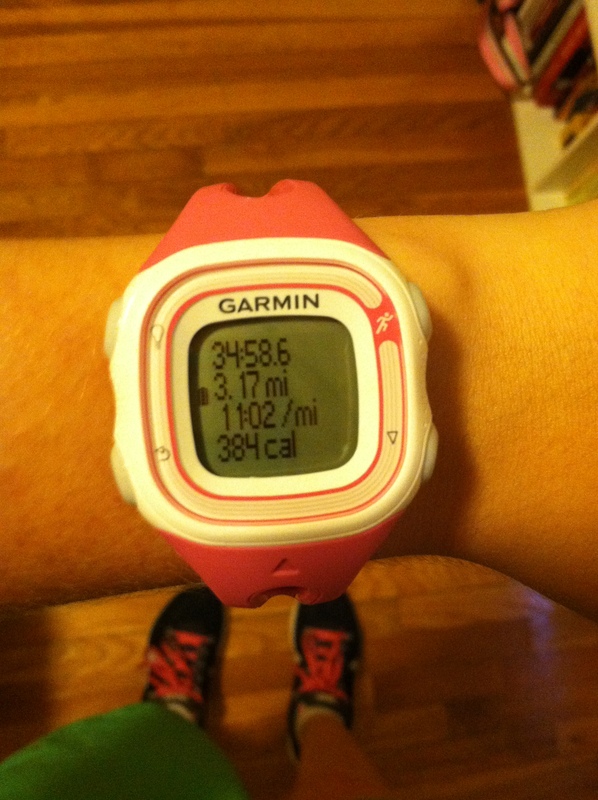 I was slow slow slow, but I felt happy during my run and amazing afterwards. As promised, FINALLY here is the story of How I Earned My Orange Headband and officially became a Tough Mudder. I “swam” through waist-deep mud, crawled through dark tunnels, and was electrocuted in the head. With a smile on my face! So let’s back up. 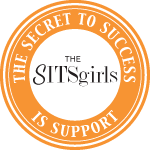 If you’ve been following this blog, you know that I have been training for TM. Well, Sunday the 24th of August was the big day! 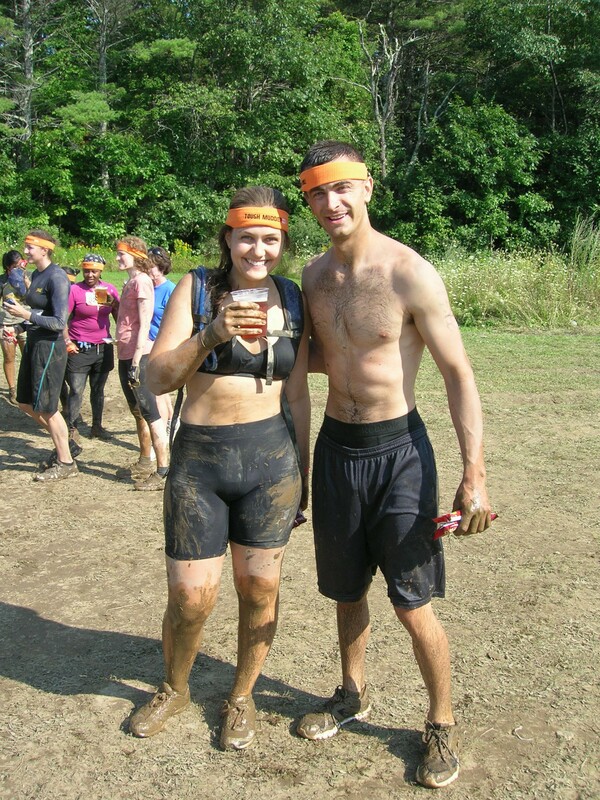 It was the second day of “Tough Mudder Great Northeast” (TM events are huge and usually take place over the course of an entire weekend) and my friend Tom and I drove up with my family for the race challenge. Full of nervous excitement at the start line! 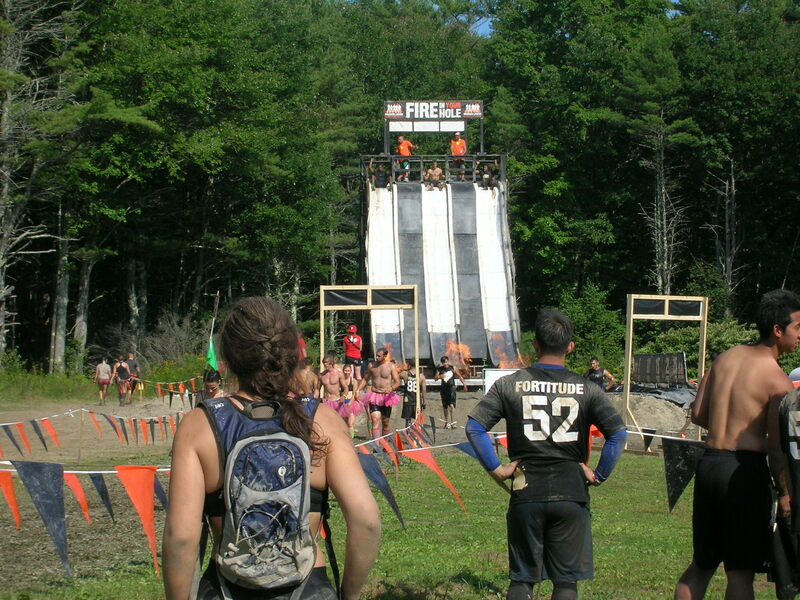 The New England Mudder this year was held in Westbrook, ME. Oddly enough, part of it took place on a doctored-up golf course (and by doctored-up I meant post-apocalyptic). Tom said it was significantly less hilly as a result (most other TM’s are held on ski slopes and the like), but the footing was actually much worse. 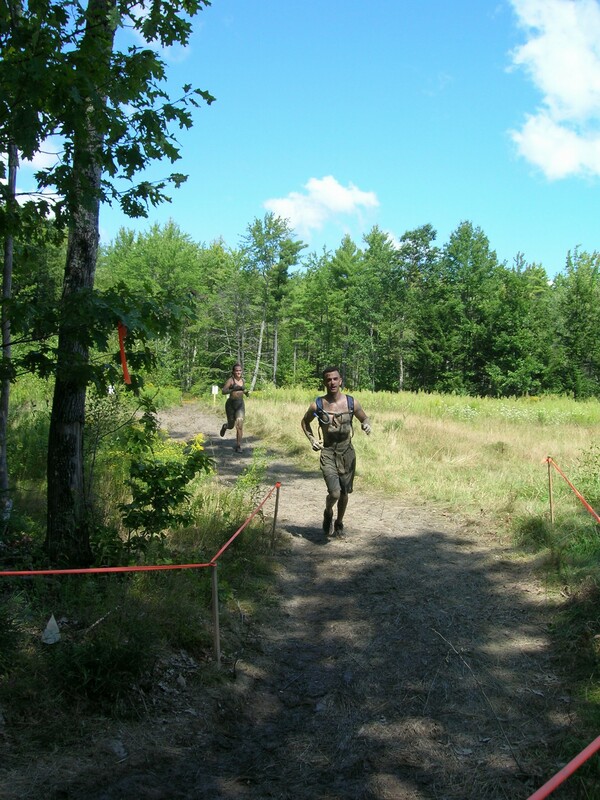 He was right there – the hills were not too extreme (though my hill workouts DEFINITELY paid off in this endurance event!) but a good part of the course was actually a series of hiking trails (used for snowmobiling in the winter, I believe). Those parts of the course were very steep, rocky, and irregular – definitely not very conducive to running. We hiked those parts of the course, as did most people. A few ran past us, but the possibility of easy injury dissuaded us from following suit. That said, the first half or so of the race was definitely more suited for running. Out of the total course, about 10.3 miles (TM events are between 10 and 10.3 miles), we estimated that we ran about 6 or so. The rest we hiked or were, of course, on one of TM’s infamous obstacles. The obstacles. Oh, the obstacles. There were over 20 of them, and certainly none of them were a piece of cake. The ones that I found most challenging were, predictably, the ones that required the most upper body strength. Though I did my best to work my upper body during my training, I think that there was realistically only so much I could do as a female and also in a limited time frame. Obstacles like Glory Blades – walls angled towards you that you had to scale – and Pole Dancer – parallel bars that you had to shimmy across with your hands over a mud pit – really challenged me. Pole Dancer and Funky Monkey – ascending monkey bars over a pool of cold, muddy water – were, frankly, more difficult than I had anticipated. I simply didn’t have the arm strength for them. Though I ultimately fell off both, isn’t that kind of the point? Despite the fact that I wasn’t able to “ace” them, so to speak, I am very proud to say that I did complete every obstacle, even if it was knee-deep in mud. Candid shots from the course. Most of the race, though, was about endurance, lower body, and core strength – which are luckily strengths of mine! I am very much slow and steady, which is exactly what is needed for this kind of event. That said, Tom and I still managed to finish in 3 ½ hours – an hour less than his time at his last TM! And 3 ½ hours also accounts for time spent waiting for obstacles, including traffic at one accidental mud pit that had become essentially impossible to cross without emergency volunteers and rope installations. It’s an unpopular opinion, but I actually really enjoyed the obstacles that tested mental game the most. Yeah, the infamous Arctic Enema (a giant ice bath and you have to plunge into – and, yes, swim under a barrier in) wasn’t comfy. But I left it feeling oddly great. Yes, I probably am the only one, but it felt awesome to have done this physically and mentally challenging thing, this CRAZY thing, and did it with a smile on my face. That kind of endurance, that grit that Tough Mudder is notorious for testing, is really what I love. Cheering Tom on as he did the “alums only” supplementary obstacles. At the end of that crazy 3 ½ hour, 10+ mile and 20+ obstacle challenge, I felt like I had 130% earned that Dos Equis! My darling family was there to cheer me throughout the whole race, and of course I couldn’t have done it without my dear teammate. Neither of us can wait to do it next year, and this time with a big team, we hope! I collected my swaggy technical Under Armor finisher shirt with a giant goofy grin on my face. Muddy and scraped up, but grinning ear to ear! 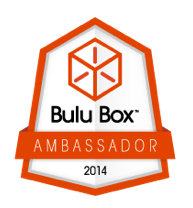 …So now I am already signed up for a 2015 event! Needless to say, my teensy student’s budget necessitates a certain amount of creativity when it comes to acquiring different home necessities. I know I should’ve been posting more, but forgive me because I was scouring Craigslist for cheap vintage furniture. And completing my much-anticipated Tough Mudder. Oh, yeah – and starting law school! Things are finally getting settled. The girlfriend and I have almost all the requisite home items (with a few comical exceptions, such as a bed) and are working on decorating the space to make it our own. We even jumped back into our couples workout routine! We ran a 5k this past weekend, on Saturday, at the Franklin Park Zoo. It was a really small event, but it was fun and a really cute idea. Running through the zoo is perfect – both of us love the zoo! 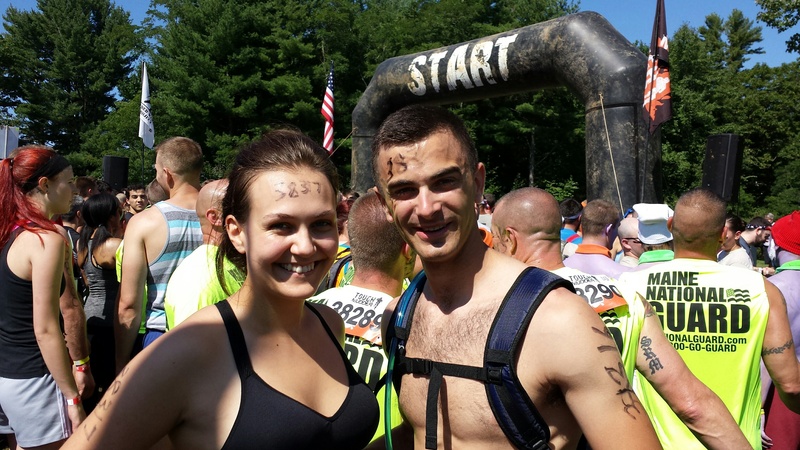 It was actually a pretty rough race for both of us, as I hadn’t worked out in the 2 weeks since my Tough Mudder between being dunked into the craziness of law school and the awful thing that is September 1st (move-in day) in Boston and she also hadn’t had much time on her hands. We took it a lot slower than we normally would have, but from what I heard, so did virtually everyone else – it was HUMID! It was positively soupy out, much to our chagrin. Everyone finished the race soaked and breathless – we were no exception. I need to start getting back into my old workout habits. It has been a difficult transition to a new home, the intensity of law school, and overall a huge life transition to find a schedule. I actually sat down the other day and made an obsessive schedule on Excel, something I actually think is vital to stay on top of the heavy work loads. I’ve obviously carved out my gym time – now to create a training plan! 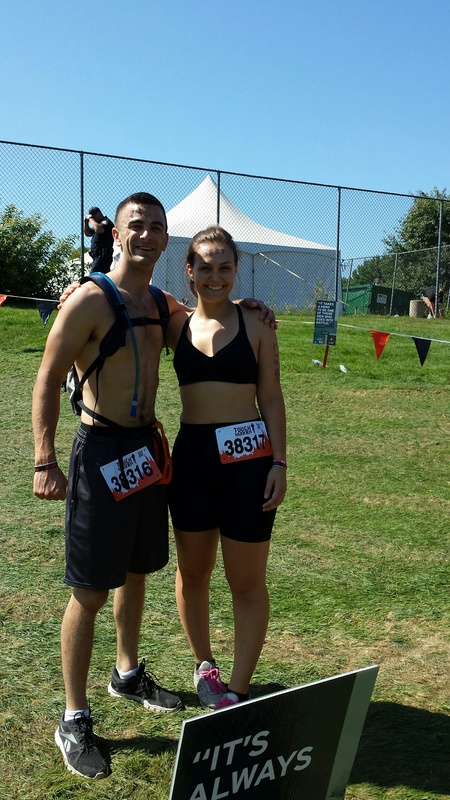 In between studying and brunching (both are necessary), I promise to post my Tough Mudder recap – it’s been a long time coming!